OUT NOW: This month’s issue of Metro magazine has hit the shelves, with the annual Best of Auckland feature inside being one of the many the great reasons to buy it. To track down the city’s best burgers and fish and chips, Metro staffer Catherine, Auckland Food Blog‘s Jesse and I descended on at least a dozen likely candidates to taste test their best offerings. Read Jesse’s gut-busting (excuse the pun) roundup of our findings in the magazine. OUT SOON: Where would be without Dame Alison Holst? The absurdly prolific cook and author is publishing her 100th title next month, a memoir entitled A Home-Grown Cook. As much as I cringe at the overuse of the term ‘icon’, it surely applies to Dame Alison. Another, quite different kind of cookbook to be released next month is that by Christchurch singer-songwriter Flip Grater. The Cookbook Tour Europe is, among other things, a collection of recipes Flip collated on her recent European tour across seven countries, and comes with a CD of tracks from her two albums. PLACES TO GO: Newly opened in Britomart, District Dining looks to be a great addition to the ballooning bistro scene in Auckland. It’s the New Zealand sister to Warren Turnbull and Mimi Gilmour’s Surry Hills, Sydney bistro of the same name. The pair look to have an open approach to food, incorporating flavours from many cuisines, in a relaxed but sophisticated environment, accompanied by realistic prices. The website doesn’t appear finished yet, so no menu to look at, but reports so far sound very promising. IN THE SHOPS: Asparagus has been sighted, and pounced upon (even at $1 a spear), by some lucky friends of mine this week. 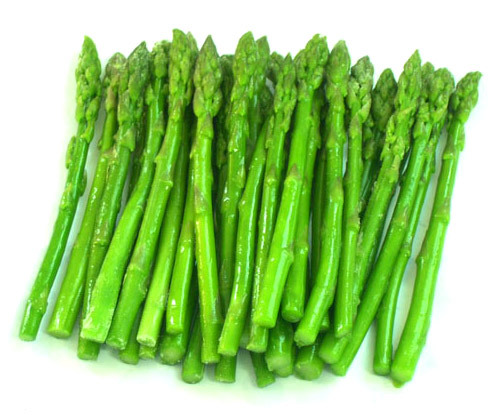 Oh god, I’ve been waiting the best part of a year for asparagus to reappear, I’ll have to go on a hunt for some. As soon as I get my mitts on it, I’ll be making my mum’s knockout dish of asparagus and prosciutto wrapped in parmesan pancakes, with homemade ranch dressing. So rich, so damn good. Will post recipe soon.